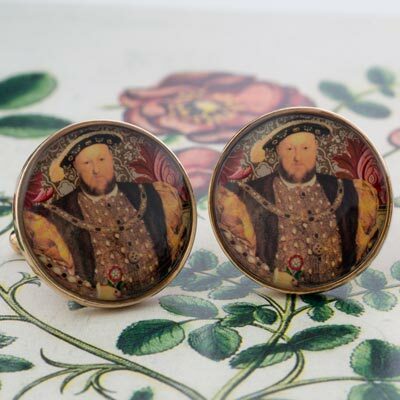 This beautiful, unique and collectible pair of cufflinks features a collage by Tiffini Elektra of King Henry VIII holding The Tudor Rose with pieces of antique bookplates and ornamental papers. 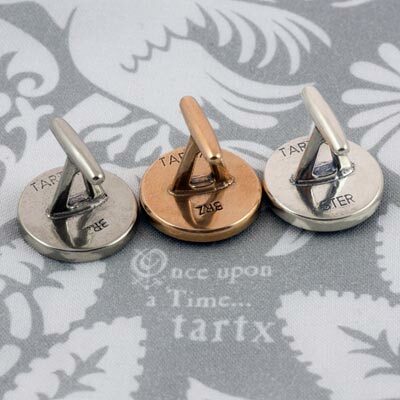 Pair of cufflinks are available in Bronze or White Bronze. 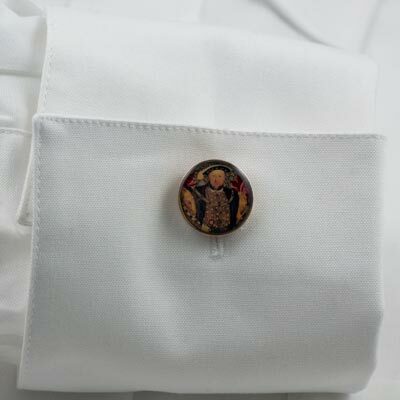 Dimensions: Cufflink is approx. 5/16 inches (16mm).